Building a blog is not a big deal but the main test lies in providing it with significant traffic. A successful blog is one which has good traffic. This post is targeted to help numerous bloggers who are struggling to get significant traffic for their website. So, here are top 8 effective ways to increase blog traffic. 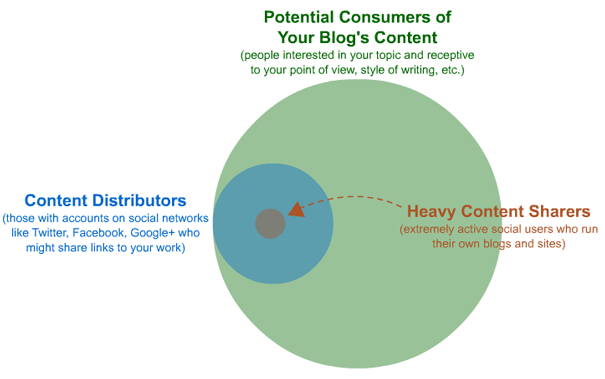 When you are setting up a blog, you should have an audience type in mind. This means that you should have a clear picture of the kind of people that you are trying to reach out to. You should keep in mind that the audience has a great ability to spread information. You should always keep an eye on the participation of various communities, blogs, etc., which bring in more traffic to your blog. Here, individual participation of readers also counts. You should also pay heed to those particular topics, content and writing styles which bring in more traffic to your blog. After gaining this knowledge, you should concentrate on those topics as they will be more fruitful in bringing larger crowds to your website. Everything on the blog like a commendable collection of facts, beautiful videos, photographs, articles, etc. all are targeted for a specific audience. If you have the ability to keep your focus on the high concentration areas of orange and blue circles that is depicted in the diagram above, you will have better chances of getting hold of the attention of a larger audience. If your blog focuses on issues that are not very popular, then it will make your blog less popular too. If your passion or interest is such that it does not reach a large section of audience, there are more chances that the popularity of your blog will not be much. Though this is not a terrible decision that you will make, it is certainly not the best one either. You should make sure that you participate in communities which see a large gathering of readers. Madison Avenue advertisers have shelled out millions of dollars to find out which places, the audience gather the most. This information is vital when it comes to determining how the messages can be targeted for maximum results. This information is vital because by tapping the trend of the audience, the companies can reap maximum benefit. Correct placing of advertisements is very important. This is the sole foundation on which the business rests. Take for example, if you are placing the advertisements for sports equipment at a place where the audience is more likely to be above 65 years of age, it is nothing but waste. Hence one should know where and when the advertisements should be placed. Fortunately, you will not have to shell out a dime to get this information about where the audience is gathering on the web. You might also have prior information about a few forums, blogs, social media communities and websites where the content and discussions of your blog is being posted. If you do not have this information, you can rely on the Google search for providing you with this information. With the list that you get, you can get expansion by using web based tool which includes DoubleClick Ad Planner. Once you get information about the communities where your readers gather, you should start participation. You must not jump blindly. You must create and account first and then start reading what other participants have to say. You must keep in mind not to start any conversation until you get an idea about what is okay and what is not. If you read my article about rules for comment marketing, you will get to know that all the rules will apply in this case. Hence it is advised that you should take a look at this. If you are a good web citizen, you will get many things in reward like trust, fans and traffic. You should avoid doing things like spam, troll, link drop, etc. This will mar your reputation and a bad reputation is avoided by everyone on the web. Hence, you can be sure that no one will want to be associated with you if you have a bad online reputation. Search engines play a vital role in providing traffic to websites and blogs. Even though it is such a powerful tool, this is ignored by many bloggers. They have many problems with search engines that are nothing than misunderstanding and fear rather than real problem. SEO, if done in the right way, never gets in the way of good writing. 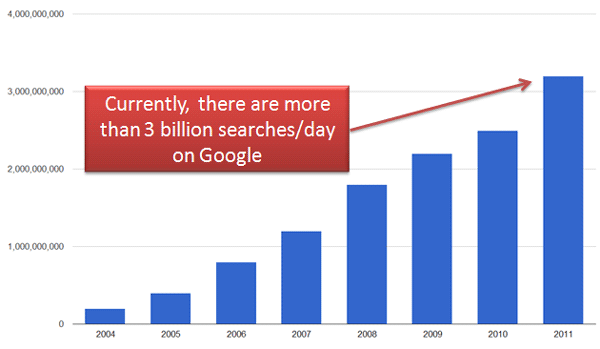 In the year 2011, there have been 3 billion searches across the world and the number is still growing. The number speaks for itself and this shows the powerful tool that SEO is. You can take advantage of the opportunity of traffic and this is very valuable to the bloggers. This tool is very important to the bloggers who have a business side attached to their blog. Everything right from inquiries for advertisements to opportunities for guest posting to press and major media discovery is covered by SEO. For blogs, SEO is very simple to use and easy to set up. This becomes easier still if you are using platforms which are SEO friendly like Drupal, Joomla or WordPress. If you are looking for information on for blogs, you must check out the following for information. Poor experience with spam should not deter you from using SEO as this can help you immensely by providing valuable web traffic to your blog. This powerful tool will also help you in gaining overall success for you. If you put in as little as 20% efforts into SEO tricks, it will yield as much as 80% profit. So when you embrace SEO services, your blog will get maximum number of readers and what the readers wish to read will be exactly presented to them. Twitter tops the list of users with 465 accounts that are registered. Facebook boasts of more than 995 million users who are active. Google+ also makes mark with around 400 million users and LinkedIn has more than 175 million users. So, the numbers speak for themselves and you can see that if all these services are counted together, they cover a very huge number of users. So, if you use these services for promoting your blog, it will surely reap more benefits and will give your blog, the kind of exposure it requires. Spreading the word using these services is very easy and yields very good results. The step that you must carry out is to register at these services with a personal account. So, you should get yourself a personal account at Facebook, Twitter, LinkedIn and Google+ each. You should maintain brand pages at these services. Your profile should not be incomplete at any of these social networking websites. In fact, you must make it a point to fill in maximum amount of details here. You can make use of photos, descriptions and such information to make your profile more credible. There is a direct line of contact between successful accounts and fully filled social networking profiles. It gives a clear idea about you and your blog and makes you seem more trustworthy. Next, you should connect with people you already know and then start to follow their luminaries, connectors and influencers. 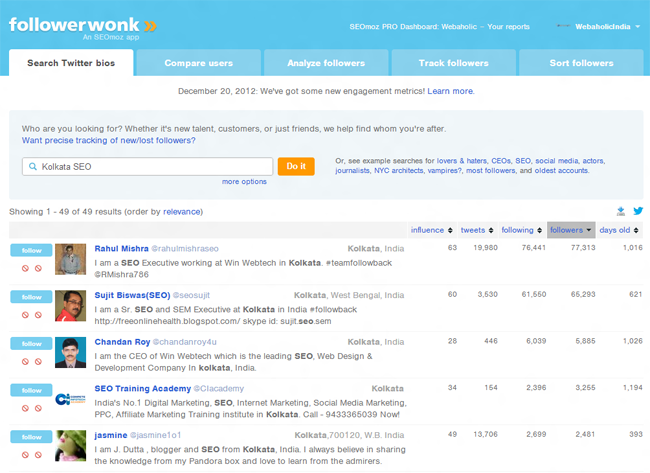 For this, you can use services like FindPeopleonPlus and FollowerWonk. Sharing your blog’s content: you should make your blog known by sharing blog posts on a regular basis with the readers who are impressed with your work. Interacting with multiple communities is also a good task. You must make use of hash tags, searches, etc. to start interesting conversations. Social networks are great tools which will help you make the most of building a brand and building the trust of the other readers. On a regular basis, if you are making use of these strategies of participation and sharing of stuff as well as making a positive impression on the readers, there is not stopping you. Your fans will grow with each passing day and your blog will be followed by numerous followers. This will make your blog popular and will drive more and more traffic to your blog. For numerous blog, depending on Social media for web traffic is the most important source of traffic to their blog. More so in the early stages when SEO does not deliver consistent traffic. 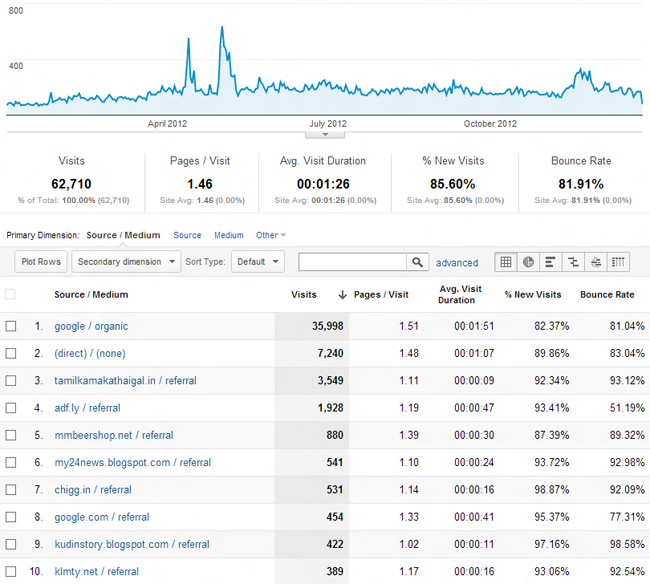 It is my recommendation to the bloggers that they install Google Analytics which comes free of cost. This will help you in knowing a great deal of vital information about your blog like which sources are driving maximum traffic, what others have to say about your blog, the content that they link over. As presented to you, you can get information about every minute detail like where the visits come from, how they were earned and so on. This information will help you in repeating the success and focusing on the positive areas which will bring more fruitful results. It will also help you know about the weak areas which require more attention or where you should give up altogether. So, you can see that Facebook and Twitter are both very useful tools in getting the best results and vital information for the success of your blog. Google Analytics will help you know where you are succeeding exactly and what your mistakes are. It also throws light on areas of more opportunities and you can learn a lot from your positive grounds as well as from your mistakes. If you have the talent of producing graphics, cartoons or illustrations, you must make use of this art to your blog. By hosting and uploading images, you can increase the traffic to your website as it will get you an additional traffic source via image search. This also entertains your readers and followers. When you are following this route, it is advised that you should make these images available for your followers, legally and with your permission. This should be done in such a way that the users benefit you in return as content creator. Take for example, if you are using a certain image and giving the permission for its usage, but the users who use your photos should link back to the specific post. Though there will be cases when the users will use your image without linking back, it will reap benefit. They can be found by using image search function of “similar images”. It is seen that what the users are typing in search engine options plays a very important part in SEO. The main idea behind this is the fact that keyword are very important part of SEO. It is a tough job to determine the keywords which are typed often or sued more often by the users. Fortunately, a free tool from the house of Google is there to help you out of this problem and this tool is known as Google AdWords Keyword Tool. When you type some words at the top portion and then search them, you will see phrases that are similar to the terms that you have used. Here, you can play with words to create fruitful results. An eye should be kept of “match types” option that is highlighted in the image below. If you are very particular about using the same words or phrases, you should choose “exact match” which will show the search quantity for that very phrase. If you are making use of broad match then it will include search phrases which include phrases that are more or less similar to the given phrase. So, you must be careful about the words or phrases that you are using in search options as this will play a vital role in getting more traffic to your blog. If you think that optimizing a post so that it has the specific keyword as a tough job, think again. 80% of the value will be in your hands if you have the phrase used effectively in the blog title. The quality of the content matters too. The web is not a storehouse of text content only. Readers, site owners, bloggers and search engines look forward to links. When you are referring to your blog articles in a non-manipulative manner, you are drawing attention of readers to other articles of your blog but referencing the articles of others is more valuable in this case. Here, when you give reference, you receive a lot in return. The more reference you will give the more links you will receive in return. This happens as the site which you are referring to will get Google Alerts about the referrers and this will help you in gaining more links. Hence, the more you give, the better are your chances of receiving in this case. Hope these 8 tactics will help you to increase your blog traffic. What other techniques you use to increase your blog traffic? Share your comments below. Thanks for writing. I think doing research is vital. There is absolutely zero reason why you would want to publish a post that has zero interest in it. if you want to write a post, at least have a few hundred searches a month is a good start! Thanks for stopping by Reginald! I’m glad you liked the article! Truly without proper research any blog post leads to nowhere. 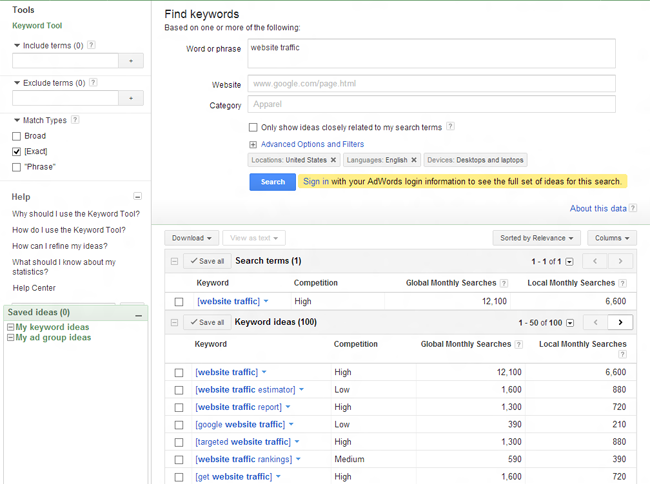 Keyword research, Google Trends, readers questions & Q&A sites surely gives you the idea to start with. Nice list of resources, Saha. Display ad research looks a great way to increase exposure. 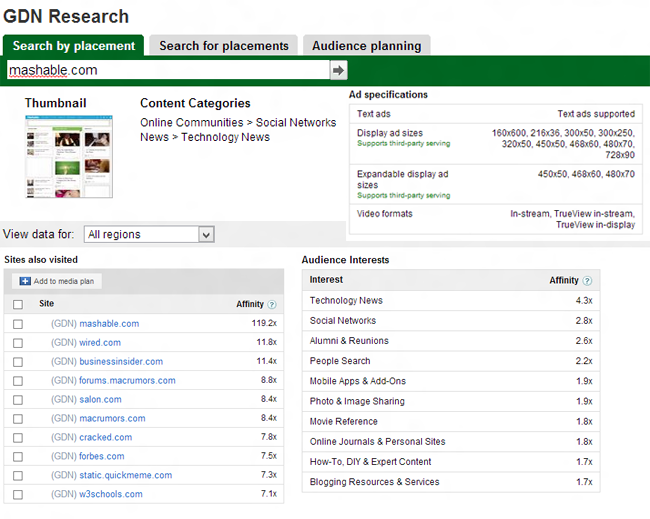 Great article hopefully this will help more get more traffic from search engines. Thanks Tony! Glad you liked the article 🙂 Let me know how these methods works for you.